Enter a short title as reference, for example “Amazon US”. Select the Amazon marketplace you’d like to sell in, for example “United States”. 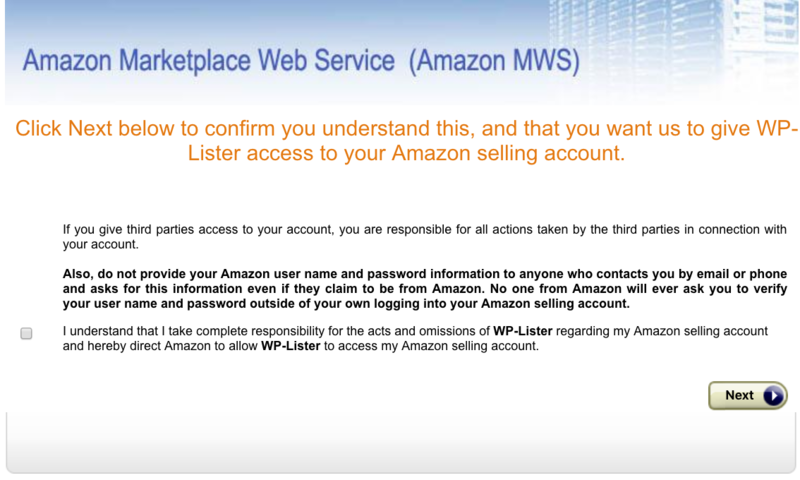 Click on Sign in with Amazon and sign into your account as the primary user. Go to the Manage your apps page in Seller Central and click Authorize new developer. 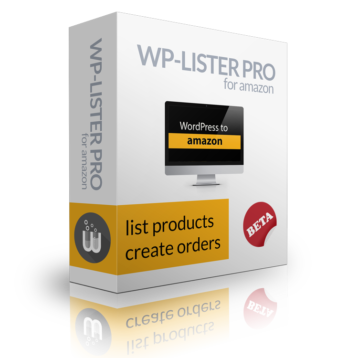 Enter the name WP-Lister and the Developer ID that you’ll find displayed in the instructions. Follow the authorization workflow until you see your seller account identifiers on the final page. 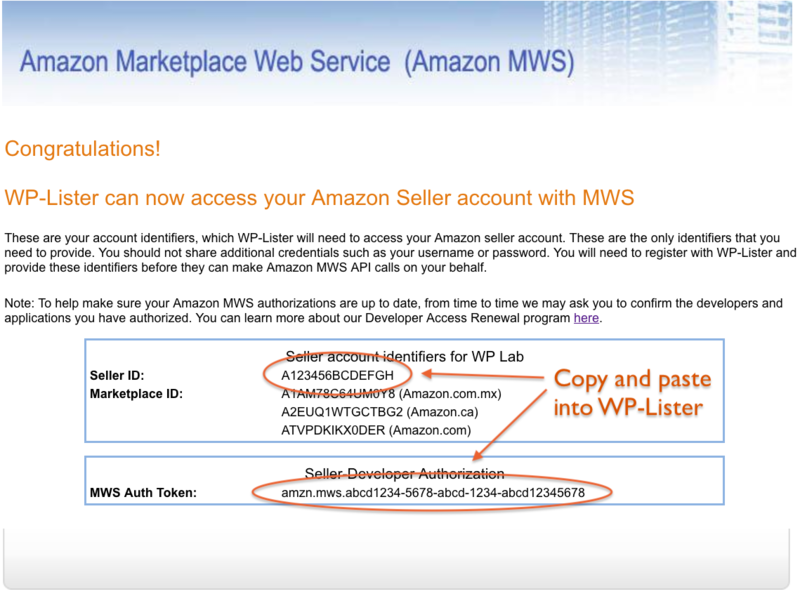 Copy your Seller ID and MWS Auth Token in the fields below the instructions. Click Add new account to add the new account to WP-Lister. Note: The ID and Token above are made up. Of course you should keep your Auth Token private and not share it with anyone! 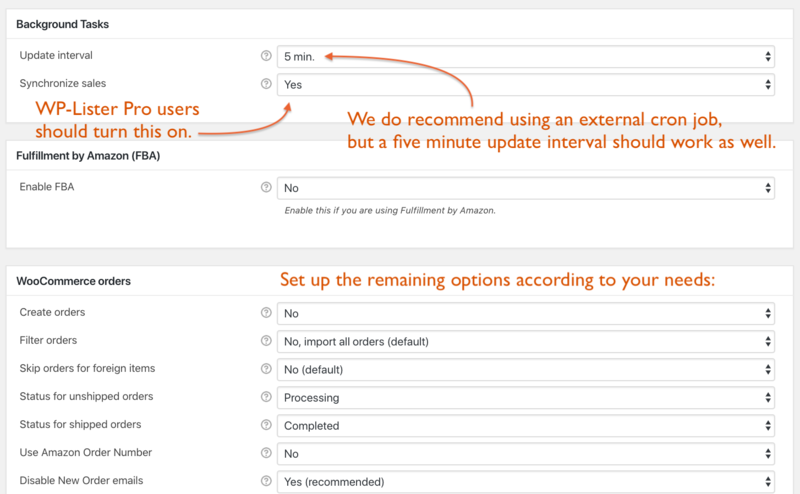 Hint: To learn more about what each option does, please hover over the little question mark and a tooltip with a more detailed explanation will appear. Visit Amazon » Settings » Categories and select the categories you want to use to list new products. Keep in mind that some categories may need approval from Amazon, so please make sure you are eligible to selling in the categories you choose.